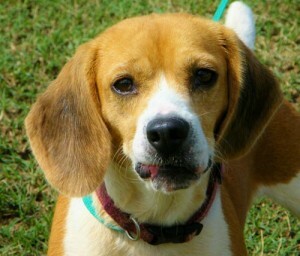 If you thought Snoopy set the standard for Beagle appeal, think again; beautiful 4-year old Sadie blows him away. Her heart’s big and outgoing we don’t know how her little brown and white body contains it; she’s affectionate, playful and attentive, an adoring sidekick for kids and grownups, and a delightful companion for your current family dog — cats are OK too! Run- return-snuggle is Sadie’s favorite schedule, but she also loves to leash-walk — a great time for human-Beagle conversation! He’s as big and cozy as a Lazy Boy recliner — built for comfort right down to his soft, declawed paws — and handsomely “upholstered” in miniature tiger stripes as soft as pinwale corduroy. 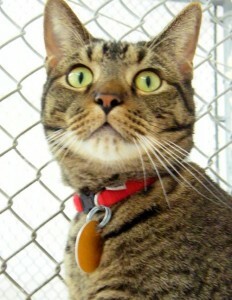 Oliver’s a vibrantly healthy young man and a fine snuggle companion; he was turned in by his owners because the family dogs bothered him and he couldn’t defend himself in his declawed state; now he’s looking for a home to keep tidy and a human to cherish, kids and a screened porch would be his idea of heaven.